But now Lillian herself is dead. Found among the bleeding hearts and lilacs of Clara Morrow's garden in Three Pines, shattering the celebrations of Clara's solo show at the famed Musée in Montreal. Chief Inspector Gamache, the head of homicide at the Sûreté du Québec, is called to the tiny Quebec village and there he finds the art world gathered, and with it a world of shading and nuance, a world of shadow and light. Where nothing is as it seems. Behind every smile there lurks a sneer. Inside every sweet relationship there hides a broken heart. And even when facts are slowly exposed, it is no longer clear to Gamache and his team if what they've found is the truth, or simply a trick of the light. 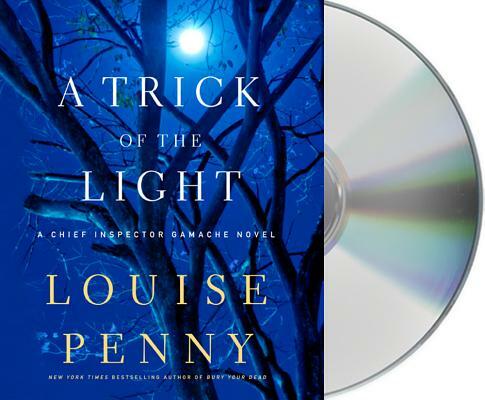 Ralph Cosham is best known as the voice behind all of Louise Penny’s bestselling Chief Inspector Gamache novels. He won the 2013 Audie Award for Louise Penny’s A Beautiful Mystery. He is a film, stage, and voice actor who narrated over 100 audiobooks, including Frankenstein, Around the World in Eighty Days, Alice in Wonderland, and Watership Down. His audiobook credits include works by C.S. Lewis, Simon Brett and C.S. Forester. Several of his works have been awarded Audio Best of the Year by Publisher’s Weekly.